Sheans Horse Farm provide full-service, luxury horse riding vacations on Ireland’s North Coast and beyond through our sister company, Bespoke Equestrian Ireland. We offer some of the best horse-riding experiences in the world from half day coastal rides to full week riding packages. Experience this breath taking region aboard a trusted Irish Cob or Irish Sport Horse! 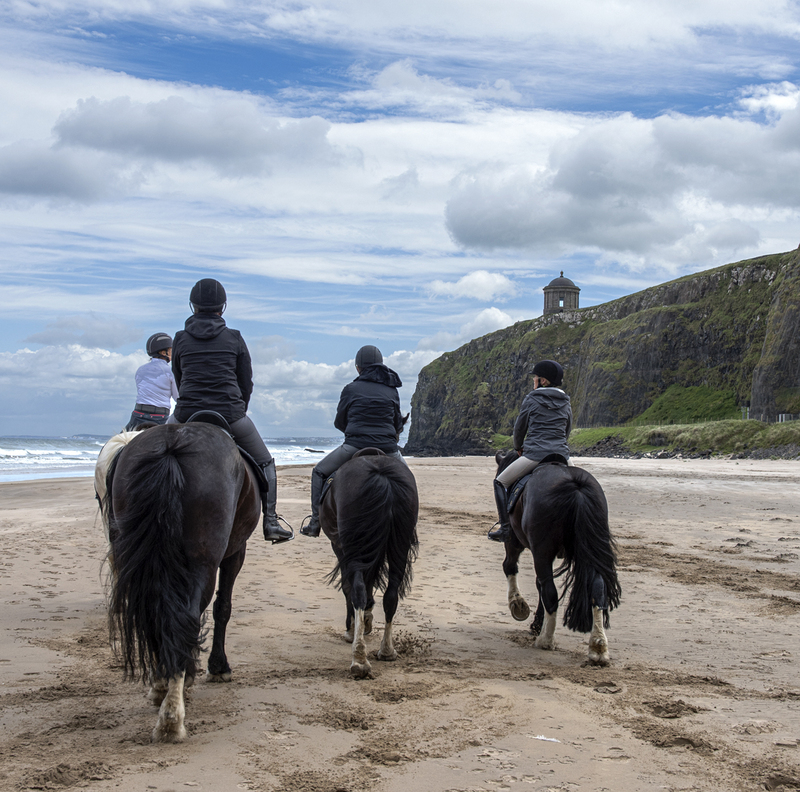 Ride at some of most iconic sites along the breath taking north coast of Ireland: Dunluce Castle, Carrick-A-Rede Rope Bridge, Giants Causeway, Mussenden Temple and plenty of Game of Thrones filming locations –just to name a few. The Sheans team and horses are used to facilitate all BEI packages and each ride is built upon the high standards and quality of experiences which Sheans is known for.